The Nicki dining table is the perfect size and look for a café table. 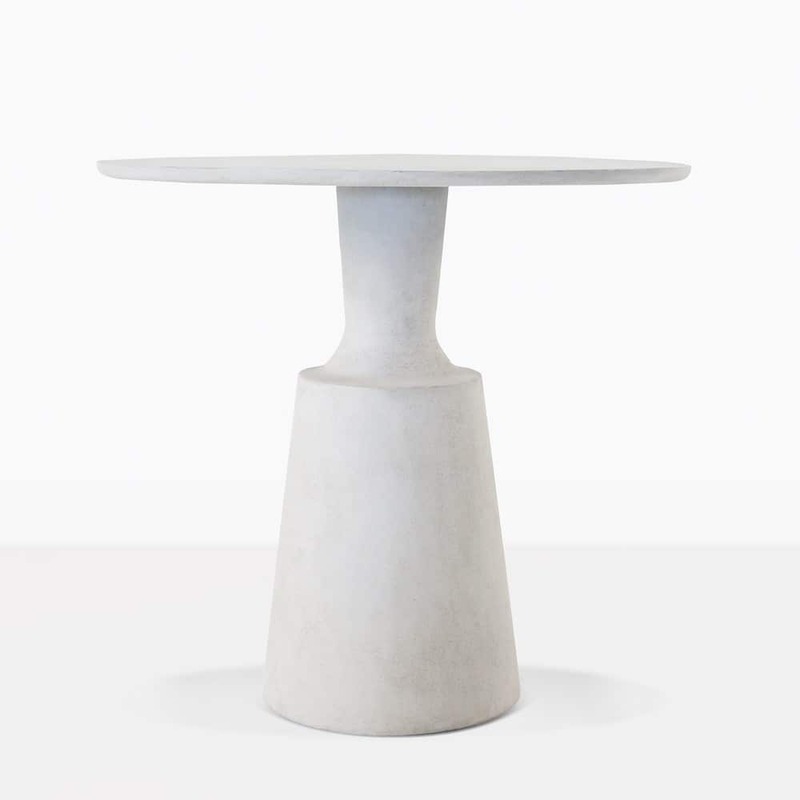 The material and shape are unique design elements that make this table so eye-catching. Use it for small dining spaces, teeny patios, or on your balcony; the perfect spot for morning coffee. This piece is perfect for indoors and outdoors and will go with so many different styles of dining chairs. It is constructed with the ultimate outdoor material, concrete. 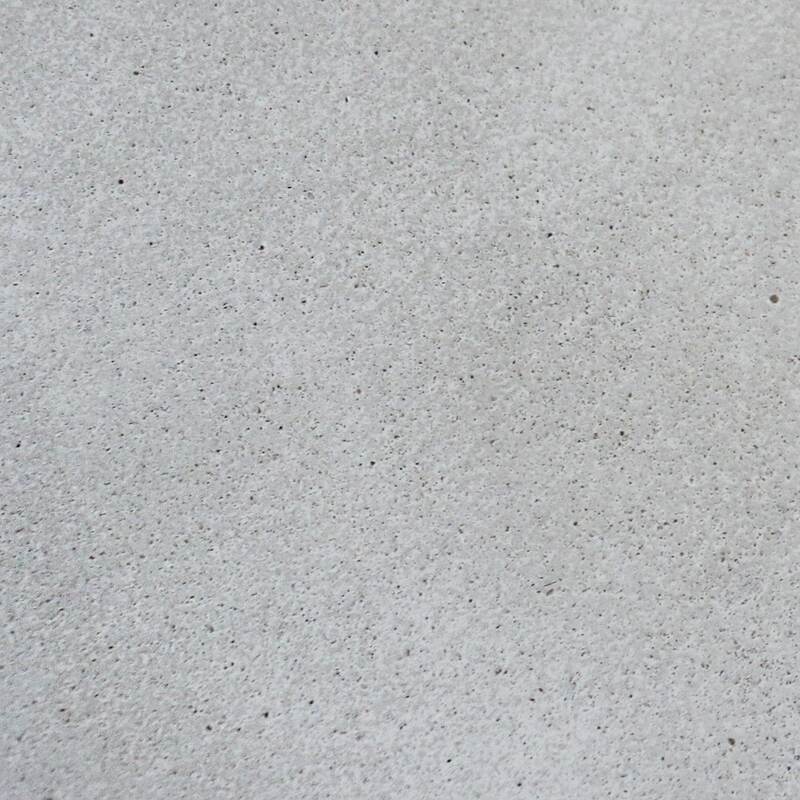 We use a special blend of resin, fiberglass and concrete so that it is durable and strong. The manufacturer has added a final coating of outdoor sealer. It is to prevent water from penetrating the pores of the tabletops. This also adds a UV protection feature as well. 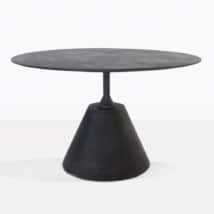 This fantastic table will suit many outdoor spaces. 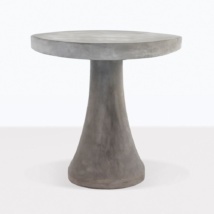 Please note: This concrete table is made with a concrete, fiberglass, and resin blend. The closeup image shows the small color variations and texture. To learn more please don’t hesitate to call or email us! W31.5" x L31.5" x H29"
Teak Warehouse is well known for the selection and the variety of materials they use in all the new ranges. Treat yourself to a visit to their website, shop on live or visit the store with everything you see being in stock and fully assembled you will be pleased you did. 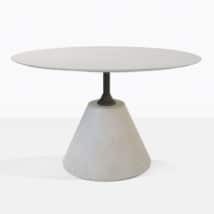 In a soft concrete grey, with an art deco style, the state of the art Nicki Concrete Outdoor Café Table caters to the world we live in, providing you with an attractive, long lasting piece that you can enjoy for hours on end, and years and years to come! Place the Nicki Outdoor Table on your patio, with a couple of steel and wicker Edge Chairs for a designers dream and a comfortable, quality setting that will see you host many brunches, lunches and chats! Imagine this incredibly stylish table lined up in an outdoor courtyard of a vineyard or restaurant… a sigh of relief as you curate a premier dining experience for your customers. 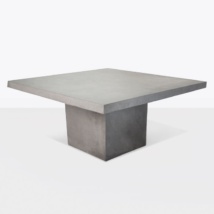 The Nicki Concrete Dining Table is made from hardwearing concrete composite, reducing its risk to sun and water damage, and giving a fabulous rustic material a new lease of life in this sophisticated and swish design!